I’ve got two things to discuss in my blog today. First and foremost, my new found (somewhat forced) decision to start cooking and baking more has had its ups and downs. Disaster is not really the right word for it so I may need to change the title. 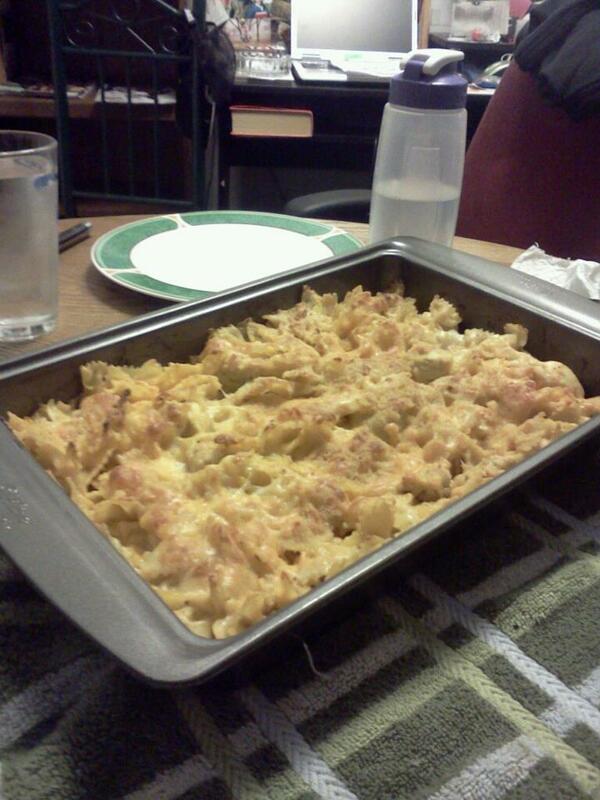 First, the boyfriend and I made the spicy chicken bake that I recently found on the How Sweet It Is blog. That blog is truly wonderful and has plenty of great recipes and dishes that would make anyone want to cook! This recipe went incredibly well and make a ton of food which my dad enjoyed the leftovers all weekend. We also made our own garlic bread and it was amazing. The next thing we made was biscuits n gravy which I long ago perfected and no longer need a recipe. I made these for Dan before and even though it was his birthday, he insisted on learning. 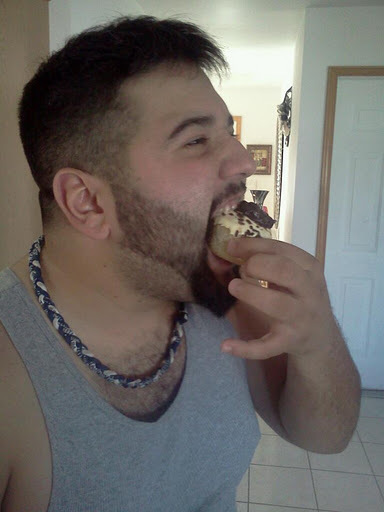 Then it was cupcake time. Since I love baking cakes and cupcakes for everybody’s birthday (though I haven’t for a long time). Dan wanted vanilla and banana. I’m not the biggest fan of banana so I’d never cooked with it before. I decided to top the cupcakes with chocolate covered banana slices (another from How Sweet It Is). The recipe for the banana slices call for the bananas to be frozen. I didn’t even think of the possibility that the bananas needed to be peeled. So I threw them in the freezer and the next day, quickly realized what a bad idea that was. Oh well, I threw those out and luckily had two more bananas sitting on the counter. I cheated and used a box to make the cake part of the cupcakes but chose to continue my tradition of making my own frosting. Since Dan wanted banana, I just mixed together one mashed banana, a bunch of cool whip, and then threw in some instant banana pudding mix. I let Dan decide when the frosting tasted well and I think the cupcakes were a success, everybody enjoyed them! Now, there is some other things that need consideration outside the kitchen. For starters, I am in my last week working for Baird & Warner. While I enjoyed writing content for the website and learning Search Engine Optimization, the project is at its end more because of the new head of marketing. I’m glad that I chose to keep working both jobs when school started so that I now can only working at Polmax with a bunch of fun and sassy ladies. Shop for Halloween Costumes! probably the funnest thing on this list! Coming Soon, Colleen attempts to bake a pie!